Experts are predicting that Christmas sales will grow by 18.4 per cent across Europe this year but that’s because online shopping is becoming popular. Last year a number of retailers found themselves stranded and having difficulties to control the amount of traffic to their websites. Experian, a leading global informative providing data and analytical service to companies and clients around the world said shoppers are expected to rank in more items this years compared to last year as most retailers are now better prepared. The agency says Christmas spending in the UK this years is predicted to rank in more for the economy with online retailers in the UK expected to see Christmas sales grow by 16.9 per cent. The total online sales for the year set to reach £52.25 bn accounting for 15.2 per cent of consumer retail sales. But there are some shoppers like Luisa Griffith, 22, who prefer to physically visit store as supposed to online shopping. The Stratford native spoke of a time when she was forced to visit a store in person as the websites was constantly crushing down when she comes to making a purchase. “It was around this time when I was online trying for hours to make a purchase. But the payment section was always unavailable. I then waited a few days before Christmas and it was still having problems. It is very frustrating,” she told Westminster World. As a result, she now does all her shopping weeks before Christmas and in person. Other than that problem, online retail spending accounted for almost one quarter of Christmas spending in 2014 with online sales rising from £14.93 bn to £17.37 bn, a growth of 19.5 per cent according to Experian. This figures would have gone up if retailers did not experience difficulties. Despite some of the hurdles trying to buy items online, Danielle Alex, 21, said she enjoys scooping up great deals online. “Although online shopping does get congested at this time of year, I still manage to buy something. I think most online store like TK Maxx are always prepared for a vast amount of shoppers,” she speaks of her favourite store. 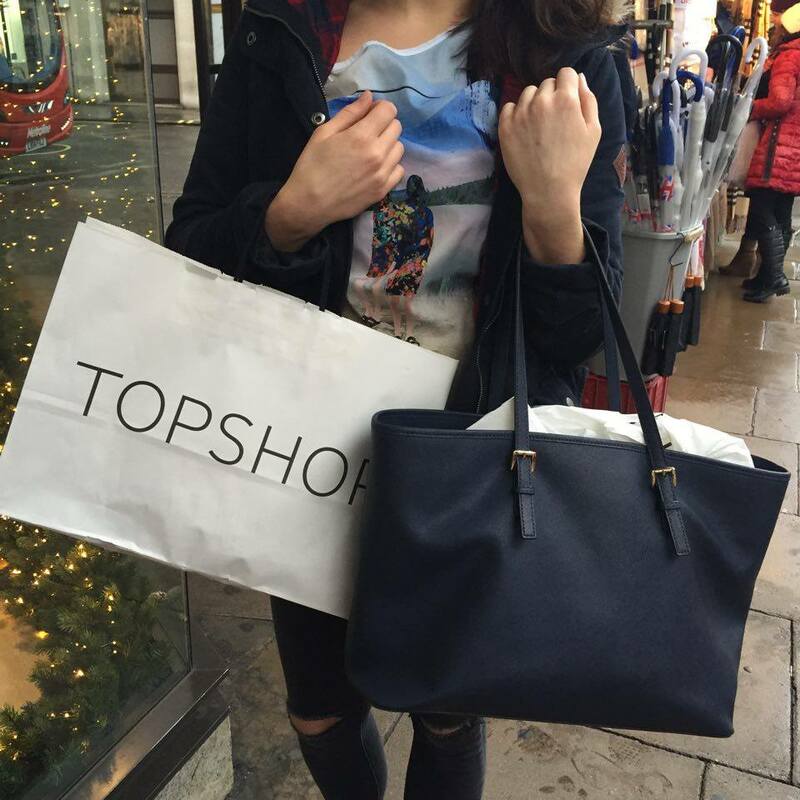 But she tries to do her shopping forward to avoid disappointments. The popular store offers marked-down designer items at a significant discount compared to the prices in a department store or on the high street. Last month the The Guardian reported that around ‘8.6 per cent of consumers had planned to do all their Christmas shopping on Black Friday …but with almost one in 10 shoppers who fear they will spend more than they can afford’. 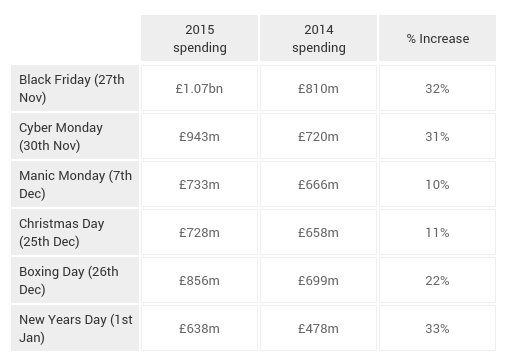 The Chart below shows what Christmas spending predictions will look according to Experian. The agency says this is “due to increased awareness of discounting around Pre-Christmas shopping dates”.